Although not a terrible movie, or at least as terrible as I feared, The House was a misfire of a project for the normally, box office while anyway, Will Ferrell and even though I did manage to laugh a time or two, it is an entirely forgettable movie. 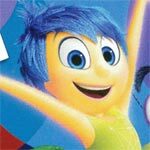 Inside Out might not be in the upper echelon of Pixar movies (top 5 for me are the Toy Story 1-3, Monsters Inc. and Up) but it’s another solid entry and winner for the studio. I really enjoyed the story but beyond that the voice casting was so well done. This 4-disc set release offers excellent video and audio and a fine selection of bonus material. 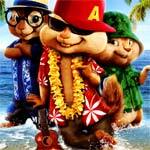 Alvin and the Chipmunks: Chipwrecked is the kind of film that adults will only want to view once while their kids will want to listen to those high-pitched songs over and over. I don’t have any kids but God bless all who do and put up with dreck like this. That said, while it is bad, it’s also mostly harmless; I would suggest having kids watch some other family film, however.